Doug Noll has been in professional practice for over 40 years. For the past 20 years, he has dedicated himself to understanding the emotional and biological origins of human conflict. With this knowledge, he has developed a unique set of empathic listening skills that work the first time, every time. He works in places as diverse as the Congressional Budget Office and maximum security prisons, teaching these deep skills to those who must be able to calm angry, reactive people quickly and efficiently. The Noll Affect Labeling System™ is an innovative new way of listening to and being with others, especially highly agitated or emotional people. 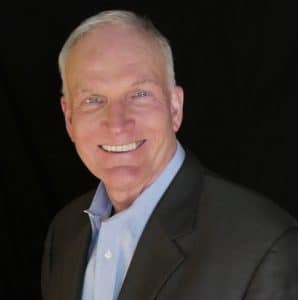 Doug is devoted to training coaches, pastors, mediators, therapists, community leaders, parents, teachers, activists, and peacebuilders in the skills necessary to reverse anger, polarization, and intolerance. These skills have transformed the lives of thousands of people just like you. You can calm any angry, reactive person in seconds using a reflective listening technique called Affect Labeling. Master peacemaker and mediator Douglas E. Noll teaches Affect Labeling in a three step process. In his free master class, you will learn why Affect Labeling is so powerful and will be shown how to Affect Label effectively. 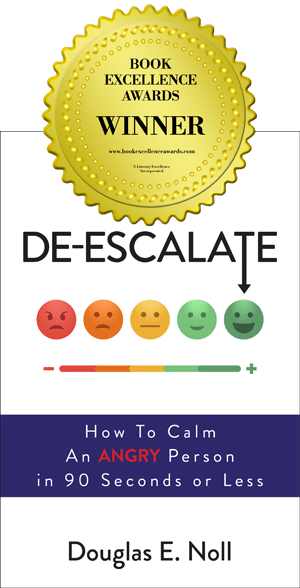 De-Escalate: How to Calm An Angry Person in 90 Seconds or Less, was published by Beyond Words/Atria, imprints of Simon & Schuster, in September 2017. Now in it’s second printing, De-Escalate is an Amazon best seller, and is (or soon will be) published in four languages (English, German, Arabic, and Mandarin). It is available in all e-book formats and as an audio book on Audible. This course is incredibly powerful and given me many tools for my life and mediation practice. 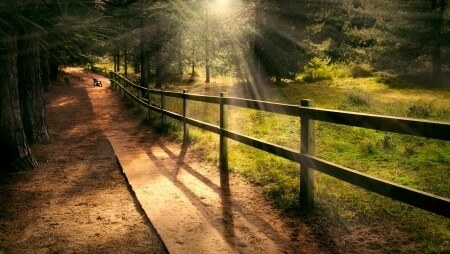 Every mediator and lawyer-any person, in fact,-would benefit from this training.